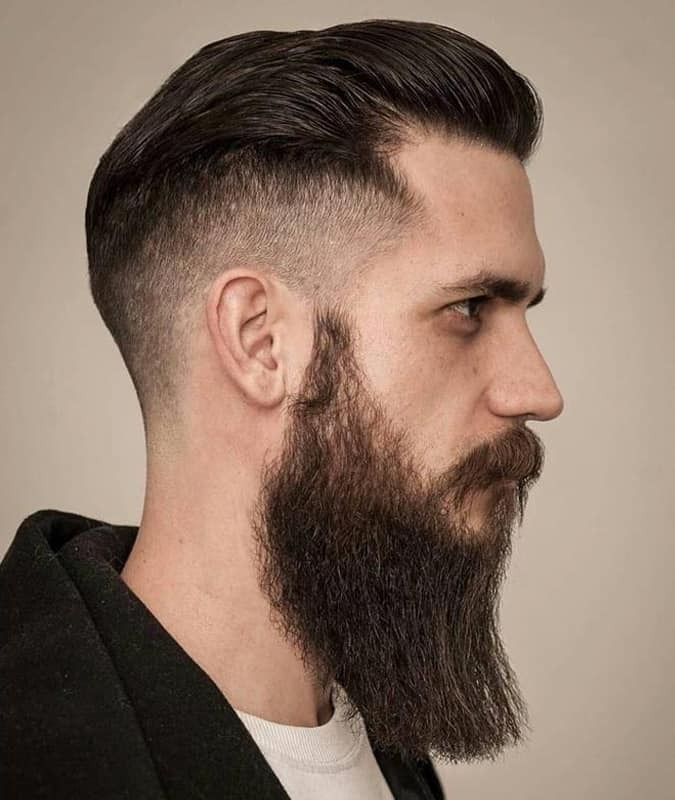 It sounds like another term dreamt up by a harebrained marketing team but drop fade haircuts are a legit and increasingly popular style for men. They work with all hair types, combine with lots of other styles and it’s the kind of precise, dramatic finish that makes your look not just styled, but tailored. Perhaps for that very reason, you see it a lot in any walk of life where grooming and peacocking are one and the same – think football, hip-hop, menswear blogs. If you want A-list inspo, Jamie Foxx, footballer Aaron Ramsey and Drake are just three celebrities to enlist the style and their cuts prove that it can work with anything from a classic, side-parted sweep back to a boxed-in buzz cut. You don’t need a Premier League stylist to get your own, though. Drop fade cuts are easy to achieve, and regular maintenance will keep your locks in place, providing a template for barbers to cut into. The big question is whether you suit one and, if you do, which way you should go with it? Below, we drop the science on the drop fade to help you make the cut. All of which sounds quite similar to another fail-safe classic: the faded short back and sides. There are a couple of subtle differences, though. “A short back and sides is generally symmetrical all the way around, and doesn’t drastically dip in any area,” says Conlon. This means that while you can expect something neat and orderly with the latter, a drop fade packs a more noticeable gradient as it tapers to your hairline. Handy, especially if you want to pivot from the cookie-cutter haircuts of the last five years. 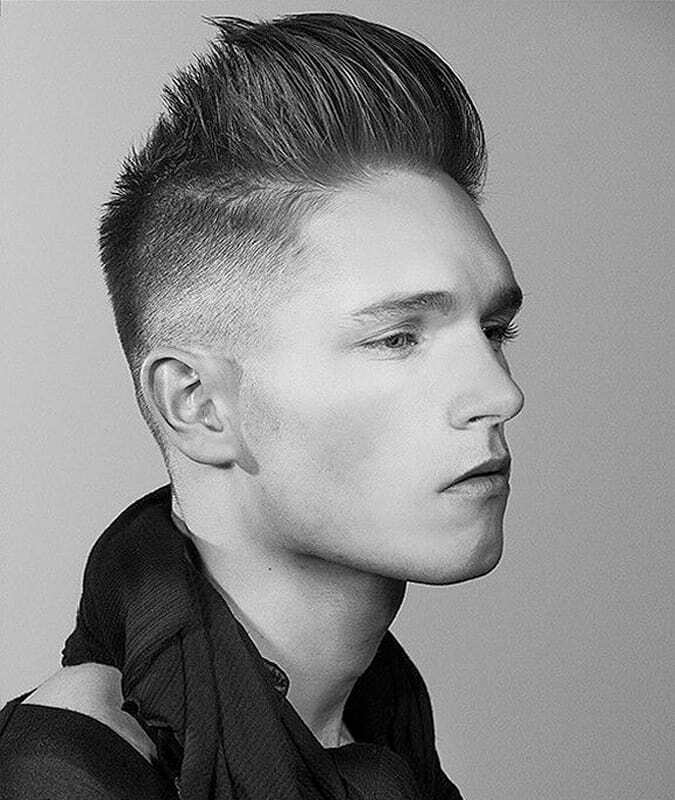 The drop fade can work in tandem with a range of trending styles. It can form the base of a well-sculpted pompadour or undercut, add interest to a messy French crop and make anything from a quiff to an afro look more dramatic. Unless you’re carrying a North Korean passport, you shouldn’t have to settle for a standard-issue cut. Different hairstyles suit different face shapes, and unsurprisingly, the drop fade is no exception. Sounds very anatomical, but it’s simple science: the hair at your crown contrasts with shorter hair towards the nape of the neck, and this creates the illusion of thicker locks on top. All good news if you’re of the approved square-headed variety, less so if you’re longer in the face. “This style doesn’t really suit long or oval face shapes as the dip to the back can actually accentuate your head and facial length.” Unless you want to look like Bert from Sesame Street, try something else. Before you stop, drop and fade, there are few things to consider. Your budget, for sure, but also your follicular plans in the long run. 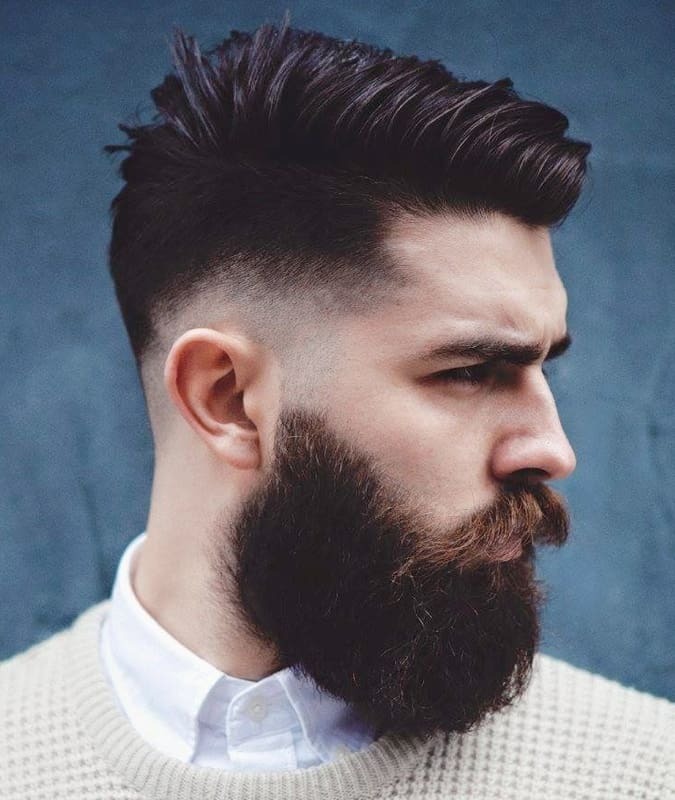 Beard or no beard, another thing to consider is that the drop fade is a high-maintenance hairstyle. It lives or dies on that tapered contrast, so it might not suit men who don’t like spending lots of time in the barber’s chair. “Because this trim is lower at the back, you may notice it growing out a big quicker than usual,” says Conlon. No big deal if you’re a regular, but it may up your cash outlay if you’re not used to a weekly visit. It’s one thing to decide upon a haircut, but communicating it properly to your barber is a must. Don’t play head games with muddled, unclear chat. “Ask for something low around the edges,” says Stanley. “You have to decide whether the fade should hit the skin: a 0, 0.5 or a full 1.” This dictates how close your drop fade cut will be. While Hollywood types with stylists on standby have long opted for a stark skin fade, this style will grow out quicker and require regular chops if it’s to stay razor-sharp. Think about how often you want to visit (and indeed, pay) the barber. If you’re tight on time or cash, opt for a softer fade to give you a little wriggle room. That said, a quality hairstyle isn’t solely your barber’s responsibility. They lay they foundations, but it’s up to you to style your topiary each morning. Selecting the right product will make this job a doddle. Or, if you prefer to keep the barber small talk to a bare minimum, take a picture for visual reference. We’ve got plenty below.